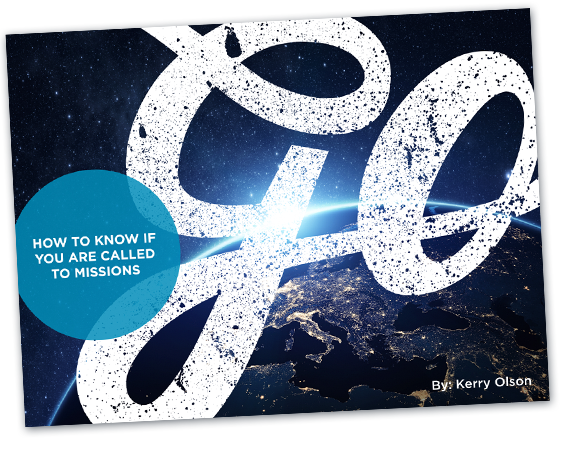 Have you ever wondered if it were possible to be a missionary overseas later in life? Have you asked yourself if there might be a second chance to take up missionary work now that life has settled down? If you have asked yourself questions like this, you are not alone. Many people are planning for a second career that takes them to another country. They want to use the skills and abilities they have developed in a context that will have a significant Kingdom impact. The following stories are examples of people who are second-career missionaries. As a child, Chrissy had felt a calling to missions but when Tim and she asked the Lord about going to the field following their completion of studies at Bethany Global University, they felt the Lord telling them it wasn’t time. Then, in 2012, at the urging of their home church Tim and Chrissy Kelly began exploring the opportunity to move into full-time missions with Bethany in Kenya. As they took this step of faith Chrissy expressed their feelings well, “Tim and I have a peace that this is His perfect timing. We are thrilled and excited to see all the pieces of the puzzle finally fitting into place after 23 years!! !” Tim, Chrissy and their children arrived on the field in August 2013. It has been two years since the Kellys arrived in Kenya and during that time they’ve built relationships with both the Bethany team and our national partners. They’ve invested their life and ministry experience in ways they may not have imagined a few years ago! Last year, Tim was appointed the Kenya leader for the team of ten missionaries working in four regions of the country. The team is involved in church planting and mobilization through activities which include an agricultural farm under development, the operation of a Publish4All system, running a Global Internship site, and receiving short-term missions teams. They are also partnering with the Kenya church in missions training and sending and establishing a Christian witness among unreached people groups in East Africa. Kenya serves as a Gateway Platform for Bethany and Tim continues to invest in Bethany’s partnerships in Kenya which are strategic in Bethany’s vision to Take the Church to Where It’s Not. Commissioned on August 5, 2015, Richard and Norma Klinger are beginning a new season in missions after a lifetime of service. Norma is Panamanian and met Richard while he was doing his medical internship in Panama. They were married and moved back to the U.S. Richard later joined the Army Medical Corps and served 3 terms in Iraq as a colonel. Richard and Norma have always had the desire to go back to Panama and minister to people there. Eventually, Richard plans to continue practicing medicine in Panama. Norma works in child evangelism and helping women who are struggling in different situations. From that moment forward Bill dedicated the use of his resources to do just that. Bill and his wife began to give towards producing and distributing scriptures and discipleship resources, they supported the start-up of several missionary training schools throughout Asia. And then, they partnered with Bethany to fund the deployment of Publish4All print systems to a number of countries. Most recently he helped fund two Publish4All systems headed to India. Bill believes and demonstrates that everything he has is a gift from the Lord and he is called to faithfully steward it for God’s honor and glory.